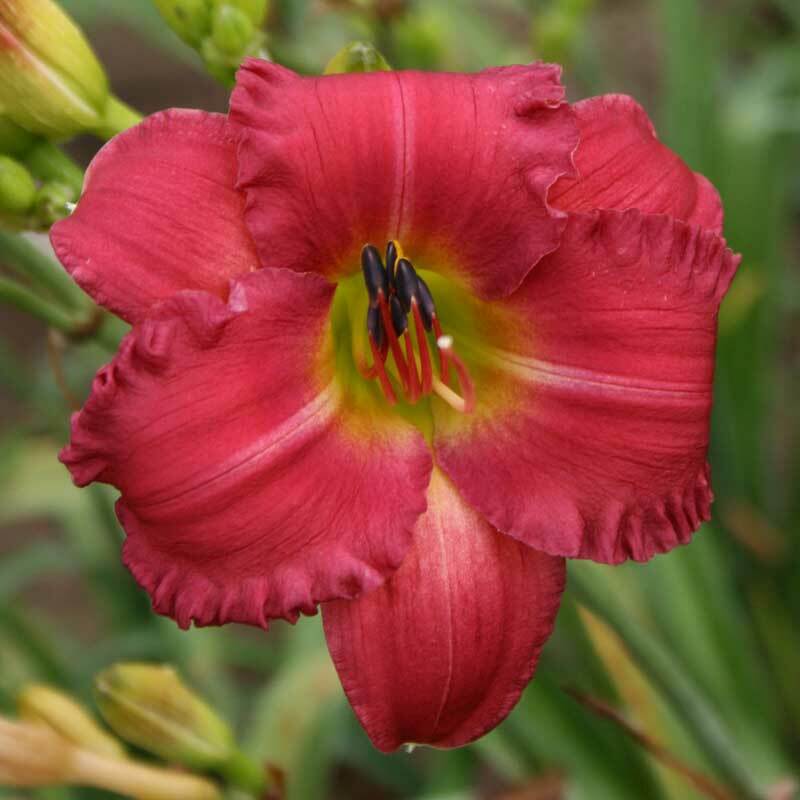 A breakthrough in reblooming reds and one of the earliest to bloom. Can rebloom up to 4 times a year, showing color up to 100 days or more! 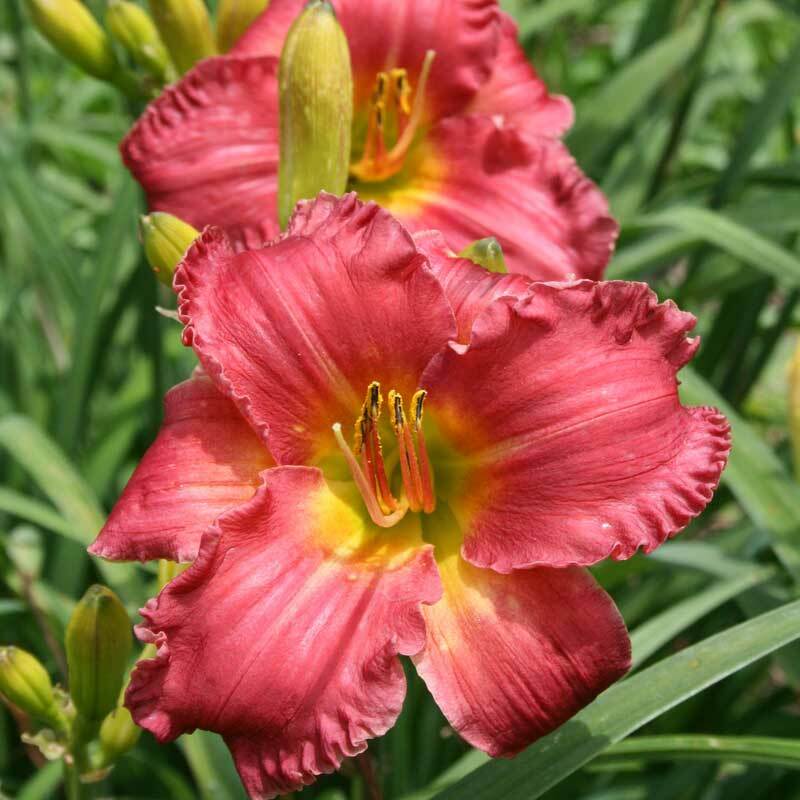 The only daylilies that do well in Central Florida are Evergreens and some of those do better than others. 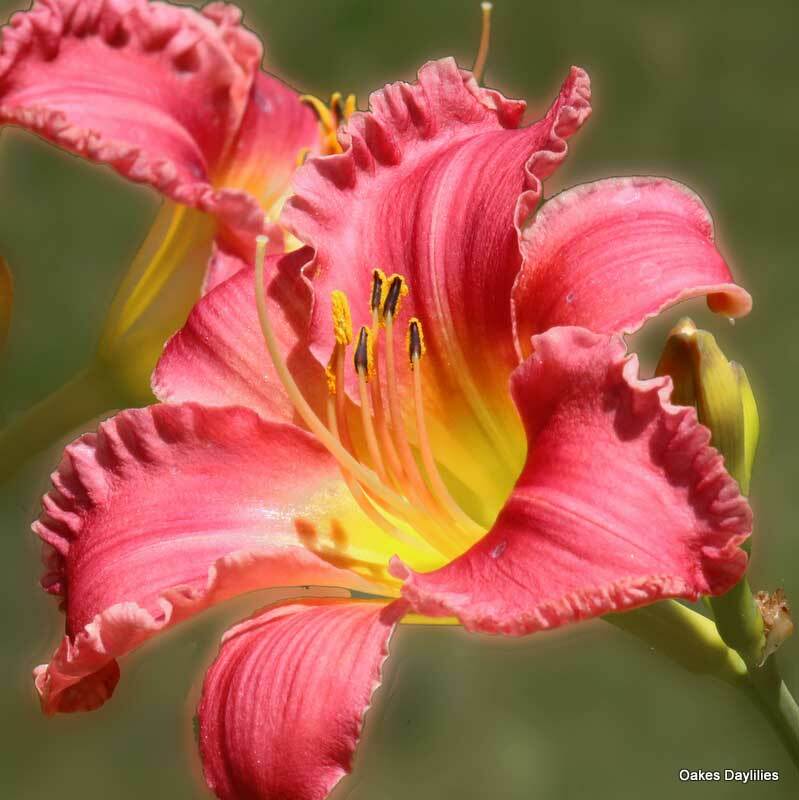 I’ve had my Earlybird Cardinal plants for several years and they are the healthiest, most prolific bloomer I have. 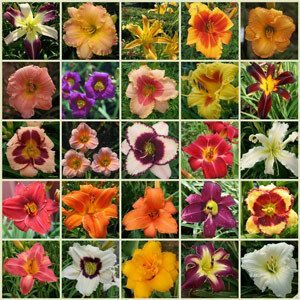 I continue to order more to put in other beds for color and reliability. They bloom early and many times I have 15 or more scapes at the first bloom. 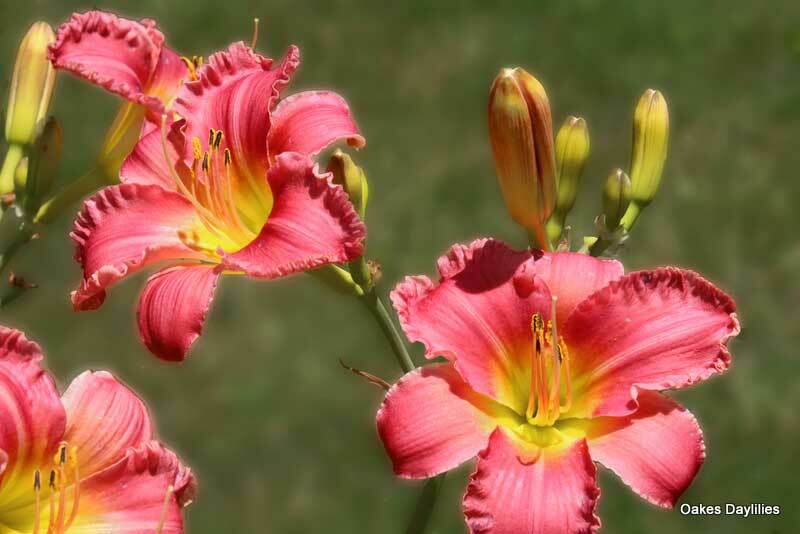 They do rebloom all summer but our heat affects them and the reblooms are a little sparse. I love this plant. I have it in a small bed along with Lady Scarlet and Frankly Scarlet. This starts to bloom before the other two. It has nice color and handles our Midwestern conditions very well. 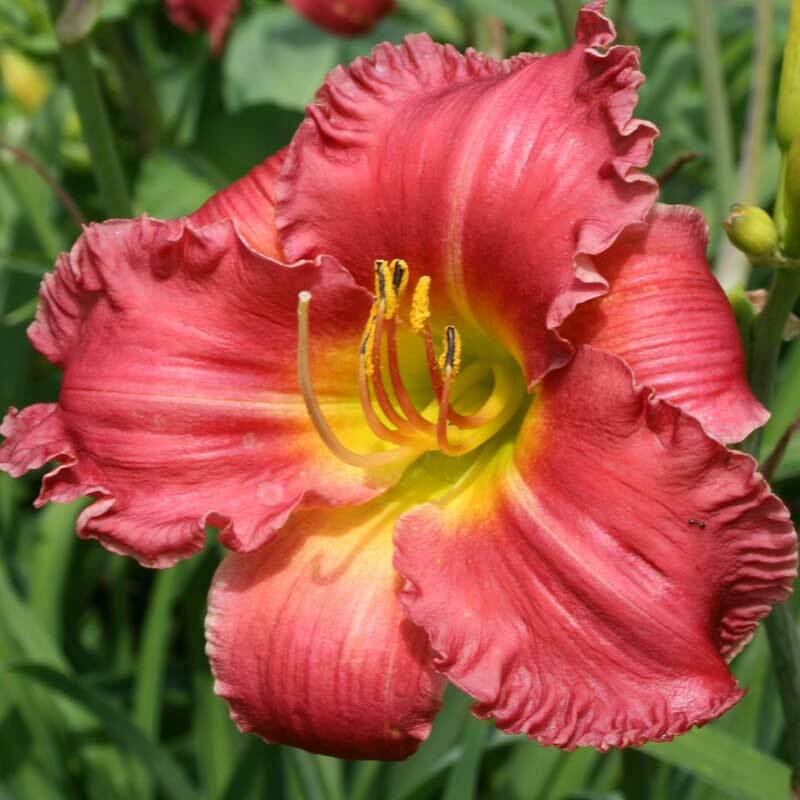 I would recommend this to anyone who likes red day lilies. Earlybird Cardinal doesn’t stop blooming. Here is Southeastern PA it started blooming late in May and bloomed continuously through the summer. Now it is September and there are new flower stems with at least 6 buds each. 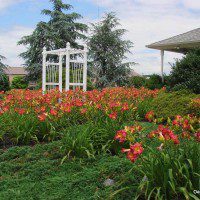 Lovely soft red color blends beautifully with the Condilla and Lullaby Baby it is planted with along with deep blue salvia. I planted Earlybird Cardinal at our previous home where it seemed to bloom endlessly and loved it so much that I had to have it at our new home. Planted at our current home May 2014 and I now (1 year later) have a MASSIVE amount of blooms and there’s no end in sight! Color is just as pictured. I paired it with Tickseed that has a yellow blooms with a red center and they look wonderful together. I ordered this variety last year and they have been gorgeous all May here in Atlanta, GA! I paired them with Stella D’Oro’s and they were so pretty! I took pictures with my cell phone and sent them to my Mother. 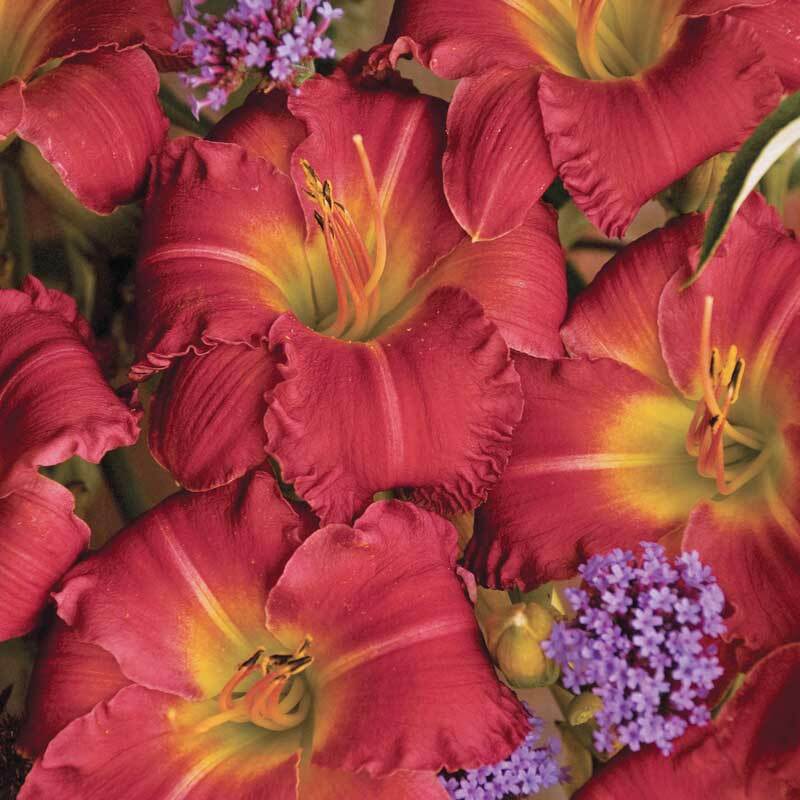 She said, “Those are the most gorgeous daylilies I’ve ever seen!” I’m anxious to see when they rebloom and hope they come at the same time as the S. D’Oro’s. I only have a 16 x 8 spot off my townhouse patio, but I want so many things out of your catalog! I guess my next home will have to be back to a single-family dwelling with more yard space! Thanks, Oakes! 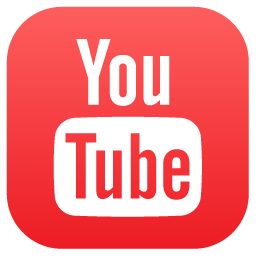 I recommend you to my friends! I just wanted to update my entry from last year (Lewisville, R – July 17, 2014): Today is 5/5/15; went out this morning checking my flowerbeds and noticed ‘Earlybird Cardinal’ has a minimum of 10 scapes rising about a foot high on two plants, suspect the other will follow soon. Very strong growth this spring, produced quite a few fans over the early spring. 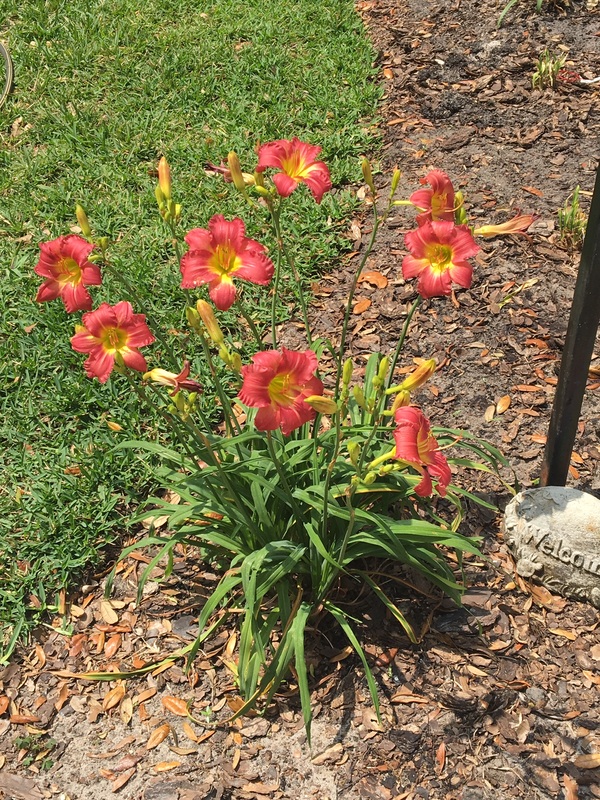 I just wanted to say the plant has only been in the ground for about a year now and is one of the most beautiful daylilies I currently have and looks like it will have an excellent production of scapes. Look forward to the blooms as they are extremely beautiful. 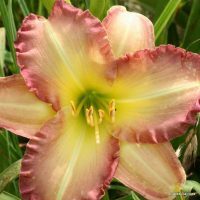 I can’t highly recommend this daylily cultivar enough to people that want a hardy, prolific daylily for their gardens. This would make a beautiful mass planting. (Update: 5/11/16) First blooms of the season. Earlybird Cardinal seems to be increasing nicely. The number of scapes this year is unbelievable, the clumps are thick with scapes. 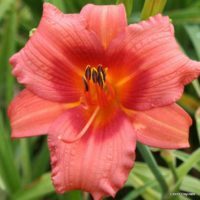 Probably the most prolific daylily I have (aside from ‘Crimson Pirate’ which is taking over one end of the border with fans). I have ‘Margaret Guillory’ which has been a complete dud for me for 3+ years now. Plan to replant it elsewhere and add more ‘Earlybird Cardinal’ for a mass effect. Last year EC was also a good rebloomer. I highly recommend! 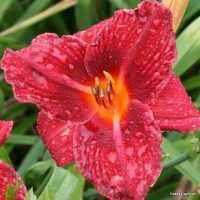 I just planted Earlybird Cardinal in the late spring and it’s already blooming! 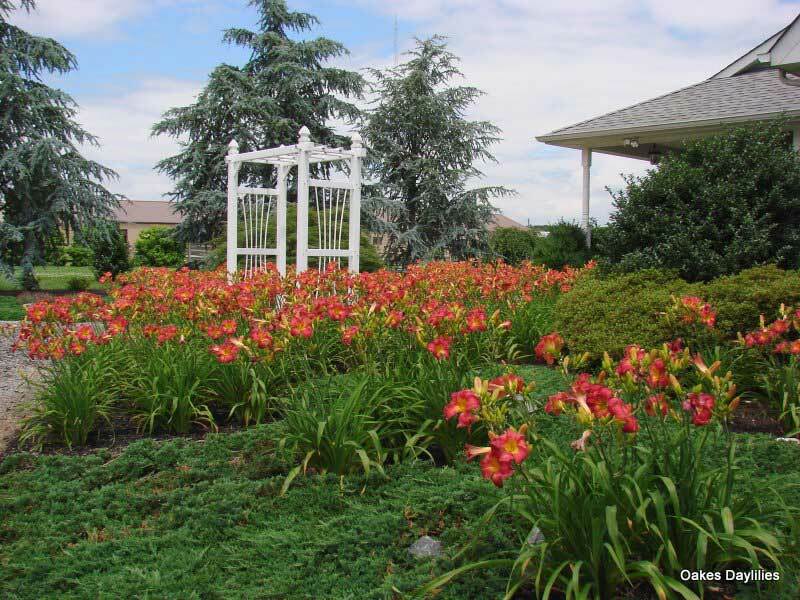 The colors are as beautiful in the garden as in the photo. This has to be one of my favorite reds and I plan on ordering more later this year. 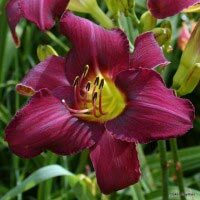 I just have to say that Oakes Daylilies has absolutely the best plants I’ve ever purchased and I recommend them highly! I planted 3 of these this spring and it only bloomed once at the beginning of summer with only 3-4 blooms. I have been anxiously awaiting more blooms, but it has not bloomed again. It is growing but not blooming. Very disappointed. Hoping it will do better next year. I gave my mother one fan of Earlybird Cardinal last summer and since it is an evergreen she wintered it on her back porch in New Market, Tennessee (which is unheated but faces east and has windows on the north, east, and south sides). On Thursday April 4, 2012 I noticed that it had one bloom scape already shooting up!! We can’t wait to see it bloom! Planted 56 of these plants late in the fall of 2010 in a mound garden. That winter was a heavy snow year in SE Wisconsin. My concern was not if but how many plants I would lose. Happy to say every single plant survived. These plants sent up over 400 scapes on their first go round (yes, I counted them) blooms first appearing in early June. Thereafter they continued to produce ( not as heavily) until the first hard frost. This year is a very mild winter and these guys are already up 5 plus inches. Color is as shown in the picture.